Quickly and stealthily and dressed in black, they walk carefully across the stage, avoiding any obstacles in their way. One grabs a bench and silently maneuvers it off the stage. Others wait backstage, ready to position new props into place. This is all done in a matter of minutes, the audience never knowing the identity of the diligent workers. The lights on stage come back up, the stage has been transformed, and the show continues. 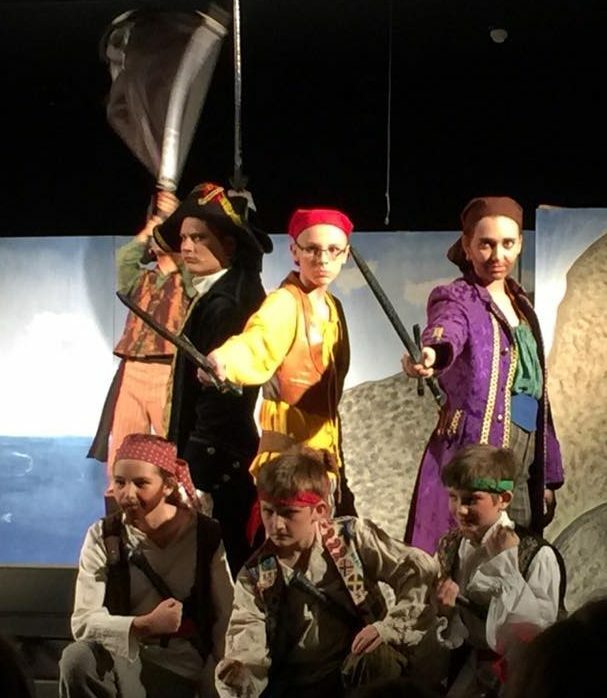 Just last weekend, Westlake Christian Academy presented The Pirates of Penzance. If you attended one of the three performances, I know you would agree that our student body possesses incredible talent. The directors Paula Coombe and Jeannie Ptasienski, along with the student actors, worked hard to create an outstanding production. What many people do not know, however, is that the play also gives other students opportunities to use their God-given gifts, just not in ways that are seen by everyone. 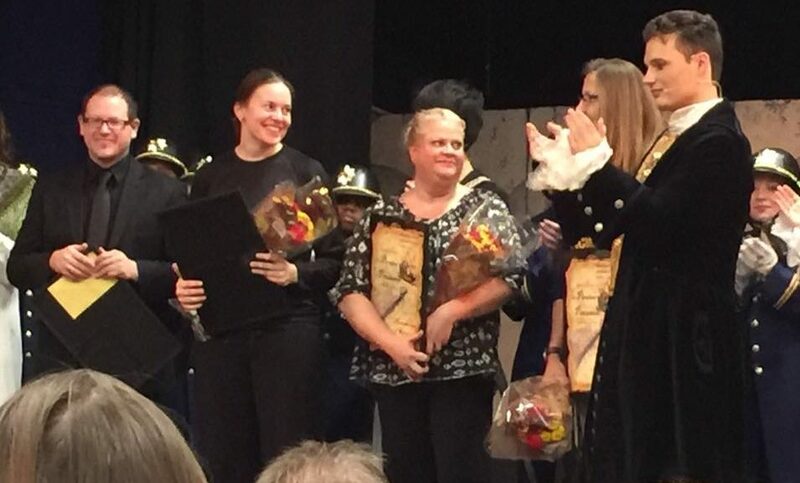 To put on play like The Pirates of Penzance requires a myriad of volunteers to use their abilities behind the scenes. Many students were here a couple of hours before the performance to help with hair and make-up. Student volunteers were on hand to run the sounds and lights. Others worked to assemble the stage and to paint the backdrops. Parents coordinated meals for the cast and crew and helped with costumes and props. One student in particular I’d like to highlight is senior Carlos Gil. Carlos has been dedicated to the drama department for four years now. Most people, however, would never know how involved this young man is. For his four years of high school, Carlos has worked behind the scenes, moving props, getting the stage ready for each performance, fixing things last minute, covering windows, and being on hand for anything that needed to be done. In working backstage with Carlos over the years, it has been obvious to me that he has the spiritual gift of helping and service. Carlos exemplifies what Paul wrote to the church of Corinth when he said “God has placed in the church… gifts of… helping…”. (1 Corinthians 12:28) It is such an encouragement to see Carlos using his God-given gift to help other Christians. When asked why he enjoys working backstage, Carlos replied “Because it is important work that we do and it is a lot of fun.” He doesn’t mind that most people will never know all the hours that he has put into the production, he just enjoys using his gift. Another student who worked diligently during the play was junior Angela Wintering. Angela worked closely with Mrs. Sandy Slota to get the costumes in order and then check them back in at the end of each night. Again, this was work that nobody would notice. When asked about her role in the production, Angela said “I liked being involved in the play even if I wasn’t on stage. I had to be organized, but I enjoyed it.” During the week of the play, Angela came early and stayed until the end of each night. Angela’s gifts of order and detail were well utilized during the play. One of the many reasons I love Westlake Christian Academy is because students have numerous opportunities to use their gifts for the Lord. 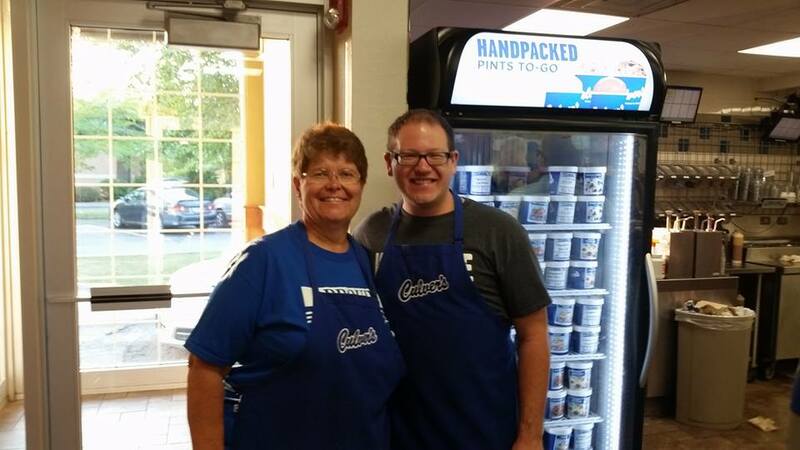 Even students with less obvious gifts can use their talents to serve. We are training our students to help in different ways so they can serve the Lord later in life and even now. Each of our students is unique and it is an incredible thing to see each student using his or her abilities to contribute to all areas of the school. I have gone to many different schools throughout my 23 years of living, all ranging from private to public. All of the schools I have gone to had over 300 students. The only small school I had ever attended was Saint Rose of Lima for kindergarten because it’s location was close to my babysitter. I may not know a lot, but I would like to tell you why I think Westlake is such an amazing school. My brother and sister attend Westlake and when I first walked into one of their classroom parties, I was shocked that each class was small enough to have one classroom with the same students. I was used to having 3 or 4 different classes per grade, so there were about 60 students in each grade. But, I think it’s amazing that students will get to graduate with friends that they have gotten to know and become great friends with. I wish I had gone to a small school. A small Bible-believing school. At Westlake, the teachers care. They really, truly care about their students. They strive to give them the best education they can, and the best part? Their love for Jesus shines in their teaching. 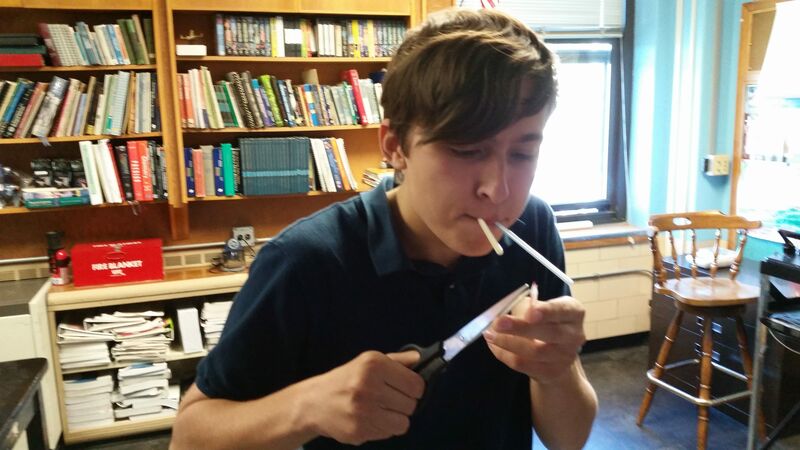 Some of my experiences in public school were great. I did have some great teachers. 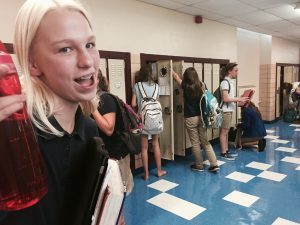 I went to a catholic high school as well, and to be honest, the only difference between the two schools was that I had to go to mass once a month and we did some type of prayer before class. I didn’t receive the authenticity of my teachers until I had gone to college. I think it’s so important for others to understand that allowing your children to attend a school like Westlake, is probably one of the best things you could do for them. The integration of Christ into education is so important. There are things that I wish I could erase from public school; the bullying, foul language that I learned at a VERY early age and the absence of Christ. I once handed out church tracks to all of my classmates in third grade. My teacher collected them all and told me, “You can’t hand out things about God,” straight to my face. My wonderful mother then stepped in and handled the situation. Then in fifth grade, one of my other friends decided to “play a joke on me” and pretend that her family was a family filled with witch craft; when I decided to tell her about Christ she told me she was kidding. That’s not a funny joke! I’m not trying to say that public school is horrible, I just wish I had gone to a school like Westlake where Christ is the center of everything. I want to take back all of those horrible things and I can, honestly bet that my early education and outlook on the things I learned, would completely be different. In 6th grade, I was taught that the Ziggurat (a type of Mesopotamian temple) was built taller than the Tower of Babel. It was a lie laid out in plain sight in my Social Studies book. Even though I never attended Westlake, I genuinely appreciate it and I am very happy that my brother and sister will gain the best, Christ-centered education. I thank the Lord that they will not experience half of the things I did while at other schools. I truly believe that this school is here for the furthering of the kingdom and that is something that you can’t get in a lot of places. 2012. The happiest year of my life, or so I thought. I had graduated college with a Bachelor of Arts in Music Education from my dream college! I couldn’t find a job, but that didn’t bother me so much. 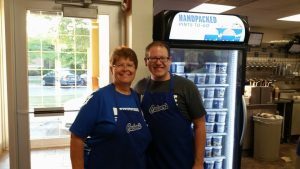 I loved substituting in all the area schools and eventually, I found two part-time teaching jobs where I got to teach music (and Culinary Arts). 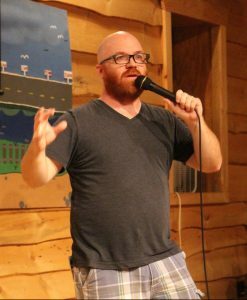 I then quit teaching altogether and worked full-time at an Amish restaurant in Ohio as a floor manager and cashier supervisor. I was very happy with my job and I loved everyone I worked with, but my life was about to change in a BIG way! One day, I decided to look for a teaching job and came to the conclusion that anywhere was fine. I just wanted to look for something different and I think that was God’s way of putting Westlake Christian Academy right before me. I typed “Christian school music teacher jobs” into Google and there it was: Westlake Christian Academy. I started looking at the job description and every part of the document screamed my name! After I had applied, Dr. Healan invited me to check out the school, along with Grayslake and I accepted. Wednesday morning, I pulled into the parking lot for my first time ever being in Illinois. I stepped out of my car and instantly felt God’s presence at Westlake. As I began interacting with the staff and the students, I could tell that everyone was bursting with the joy of the Lord! As I started my journey in Grayslake, I found that 2012 wasn’t the year I was happiest. 2015 was! Here I am, living out my dream in a school that so boldly puts God at the forefront of everything. Westlake Christian Academy is not so hidden, being that it’s on the corner of a fairly busy intersection, but some of it’s treasures are. Hidden in an older building off of 120, some of Illinois’ nicest people work and learn. The people that are in Westlake’s well-loved facility day in and day out are people that love Jesus, no matter what. Through experiencing the WCA culture I, almost instantly, got to become a part of the family that all parents, students, faculty and staff get to be a part of. Just stepping into the school for the first time I felt welcome because of everyone’s kindness. The faculty and staff regularly pray for each of the students and their families. We (I’m so glad I can say I’m a part of Westlake!) love each one of our students and our goal is to draw them closer to the Lord through our lives and what we teach. Hiding God’s Word in our hearts as we learn more about Him is something the students do as part of their daily curriculum. Being a faculty and staff member, we try to encourage each student to be active in their church and the community, striving to spread the Word that they have hidden in their hearts. Last, but certainly not least, I believe that the hidden gem of Westlake Christian Academy is our music program. Now I understand that this may come off as biased because I’m the music teacher here, but I firmly believe in music education taking a big part of the students’ lives here at Westlake. Ever since I stepped foot in the building for the first time, I have revered the students who are in Concert Band. Some of you may not know that our Concert Band meets at 7:30 am… BEFORE school starts. The 30 students that are part of Concert Band are in it because they love music and love making music with other Christian teenagers. But the reverence for music doesn’t stop there! Even the groups that meet during the day strive to become better musicians because they WANT to! Our elementary program immerses each 1st-6th grader in 70 minutes of music instruction a week – more than any other school I’ve worked at! Westlake Christian Academy is set apart from any other school in the area because of the loving, family-centered atmosphere, our constant discipleship and mentoring each student to be a disciple of Christ, and our focus on music education. If you haven’t considered sending your student to Westlake, please do. We are a loving, growing, educating, Christ-focused school and would love to have YOU here! Please visit www.westlakechristian.org or call the office at 847-548-6209 for more information on our amazing school! 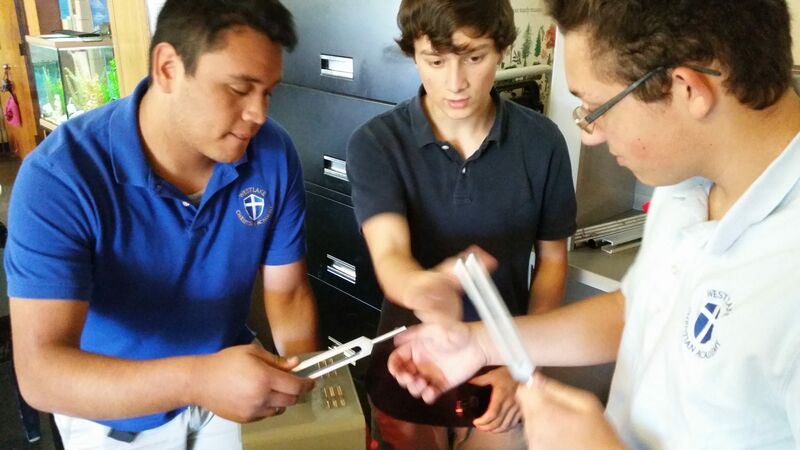 As part of their study of waves and sound, Physics students engaged in sound exploration stations. At these stations, students investigate various properties of sound and how it is produced. They use everyday household items, like straws and glass bottles and seashells, and more sophisticated tools like a stroboscope and kazoos (okay, maybe a kazoo isn’t that sophisticated) to learn about things like frequency, pitch and wavelength. There was a good deal of energy in the room as students chimed, whistled and clanged their way to a deeper, more experiential understanding of the physics that drives the world we hear. The next stop for the physics class on their journey of understanding the world around them is light. Any bright ideas on the subject? 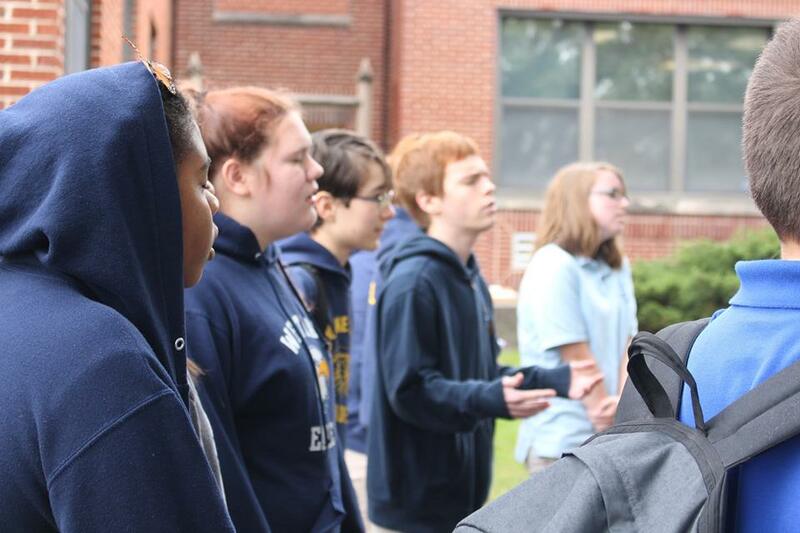 William Cowper, an 18th century poet and hymn writer, once said, “Satan trembles when he sees the weakest Christian on his knees.” On Wednesday, September 28th, students across the United States gathered around their school’s flagpole to worship and pray for our country. “See You At The Pole” is an initiative that encourages students to pray for our country as well as their family, school, fellow students, and anything else the Lord lays on their heart. It is amazing to see God work all over the country through this program. This is a special day for thousands of Christian students throughout the US as it is a public opportunity to display their faith. But for the students of Westlake, this day does not hold the same amount of significance, because prayer is practiced every day. This daily practice of prayer is one of the things that makes Westlake such a powerful environment for our students. Praying together in class, outside of class, at sporting events and many other moments in between, brings togetherness and deeper relationships not only with each other as one body in a school, but as one body together in Christ. Students also get to witness when prayer has been answered and celebrate together. For example, if you ever had Mrs. Jackson in third grade, she had a unique way of celebrating answered prayer. When a prayer had been answered, students would take their prayer, already on a strip of paper ,and they would add it to the paper chain they had, hanging on the wall around the classroom. When you walked into that classroom, you were able to witness the amount of answered prayer that those students had experienced and praised God for. “This is the confidence we have in approaching God: that if we ask anything according to His will, He hears us.” 1 John 15:4. Prayer is our direct line to Christ. It is how we communicate our praise, our sorrows, our passions, our sadness, our worries and so many other things, to the one who created it all. Mr. Tantillo also makes a point to say that prayer should either celebrate faith or grow it, through wrestling and listening. To a student who attends public school this day, SYATP, is likely a unique and exciting event because they are able gather with other believers, at a place where God is not seen as the main focus. 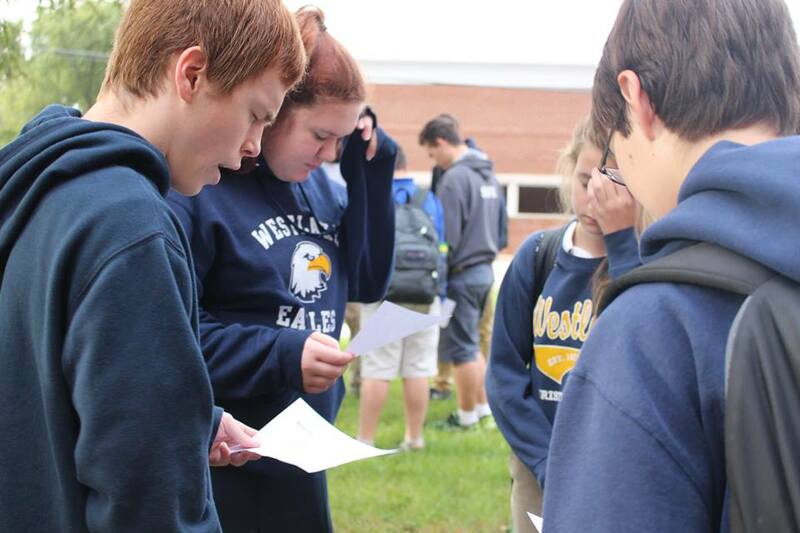 And at WCA we join in that day as a show of support and prayer for those students stepping out in faith. However, the very next day, Westlake will gather together and do it all over again because that is what we are called to do. “Pray without ceasing,” 1 Thessalonians 5:17. American musician Marty Robbins once said, “Every day is a good day to be alive, whether the sun’s shining or not.” While that may be true, Westlake’s own Abigail Gordon could have no doubt that Saturday, September 24th was her day in the sun. Dressed in her best and ready to impress, Abigail started her Saturday morning with a lengthy drive to Northbrook to audition for the Junior High selection of the Illinois Music Educator’s Association District 7 Junior All-District Festival Band! This elite group of musicians features the top instrumentalists in Lake and Cook County. About four hundred students audition, and out of those, only one hundred and thirty are chosen. Statistically, that means Abigail played within the top thirty-three percent of those musicians to be chosen AGAIN, as she had been selected in a previous competition. While Miss Abigail was certainly flying on a high note, she didn’t have time to bask in the golden glory just yet, because that afternoon, the Westlake Junior High School volleyball players had a major tournament (the Northland Royals 14U) to compete in. 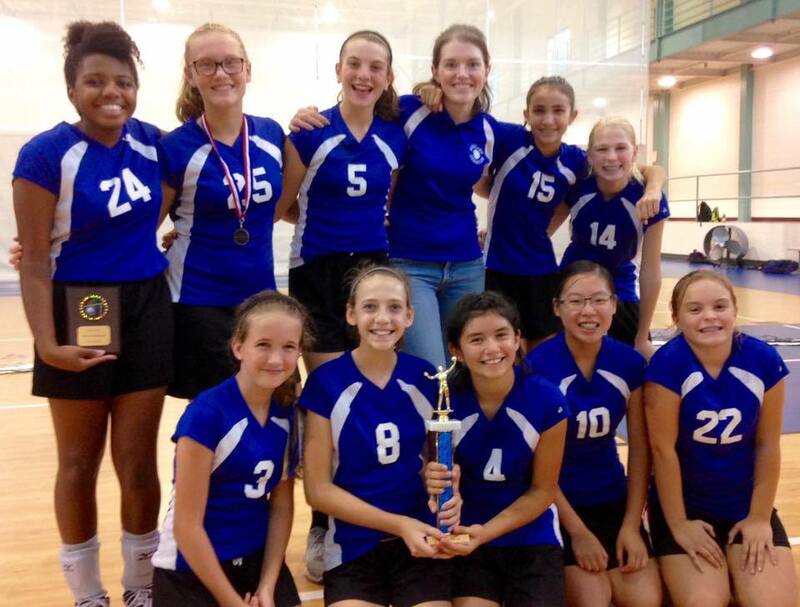 Not only did Mrs. Blair’s team win, setting their bump, set, spiking hearts soaring … but Abigail was then named tournament MVP! Talk about an all-out high-flying emotional rollercoaster of success! This young lady definitely had her day in the sun. When asked about her achievement, she simply referenced her team time and time again. “My team is there when one of us gets hurt or injured, or is just feeling down about mistakes they made, but we always shake it off. My team has a family-like bond. I don’t think we would have won the tournament without the strong bond we have.” Abigail went on to say, “It was also a great honor to receive All-Around MVP of the tournament. I still can’t believe I got it, because I wasn’t aiming to get any awards, I was just playing the game with friends I love.” Whether music or movement, it cannot be denied that this day was a pure blessing for Abigail and a “win” for all of us here at Westlake Christian Academy who love her. Carry on sunshine … carry on. 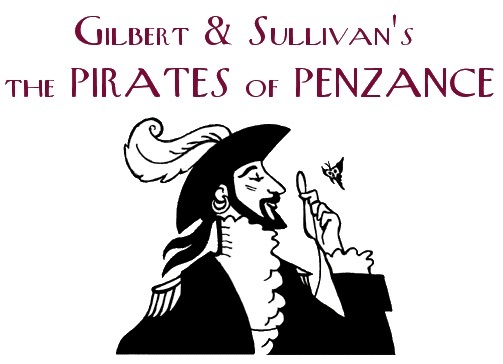 The Pirates of Penzance has been offering laughter to audiences for over a hundred years. The Operetta began in 1879, and this year our families of will get to experience this comedy for themselves from the stage of Westlake Christian Academy. The Pirates of Penzance is a show that will offer students the opportunity to showcase some of their talents with music and acting, but all the while, still having fun putting on this production. 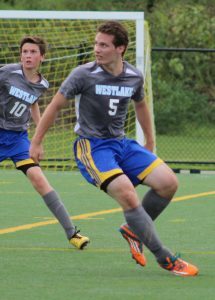 One of the attractive aspects of Westlake, is that students are given the opportunity to play sports, act and be in clubs at the same time. Often, in bigger schools, students have to choose between one or the other; soccer or musical? That doesn’t happen at Westlake. Students are able to participate in an array extracurriculars without having to make that tough decision. 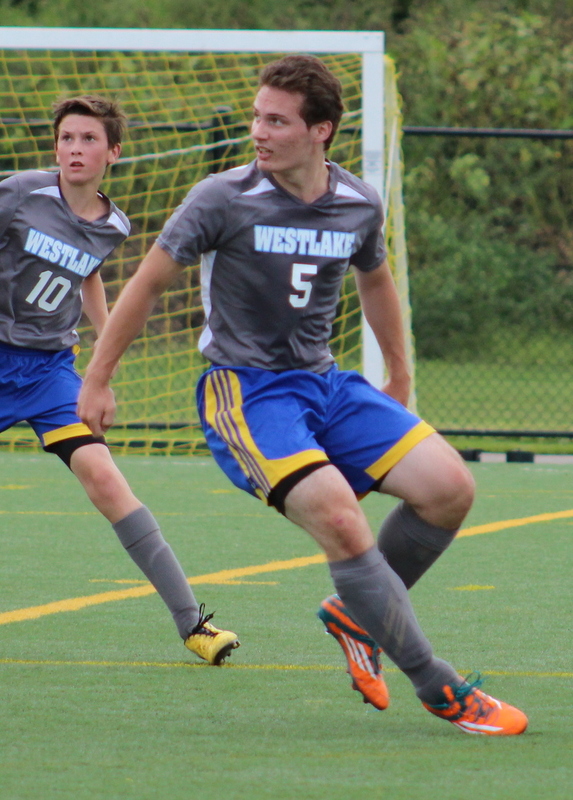 Many WCA students are engaged in many different extracurricular activities this year; the musical and volleyball, band and soccer, or all three! When given this opportunity, most students take it without hesitation and teachers are always available for tutoring if their schedule gets overwhelming. Noah Steiefelmayer is a current senior here at Westlake and is also a major character in the play; he’s playing Sam, the Lieutenant to the Pirate King. Noah has been in countless productions here at Westlake and also plays soccer and basketball, so he understands when his schedule gets busy and he gets help from his teachers. One of the ways Stiefelmayer works everything into his schedule is he uses his time management skills to the best of his abilities. If he is at rehearsal for the play and is not in that particular scene, that’s when he is catching up on his homework and if he needs help, his teachers are more than willing to help him. Teachers and staff here at Westlake are always striving to give their students multiple opportunities to experience those things they wouldn’t if they had gone to another school. Additionally, they hope to teach our students important life skills that can’t found inside the classroom, which will equip them to be better prepared for college and to so serve the kingdom of God. We are excited about The Pirates of Penzance and we think you should be too! 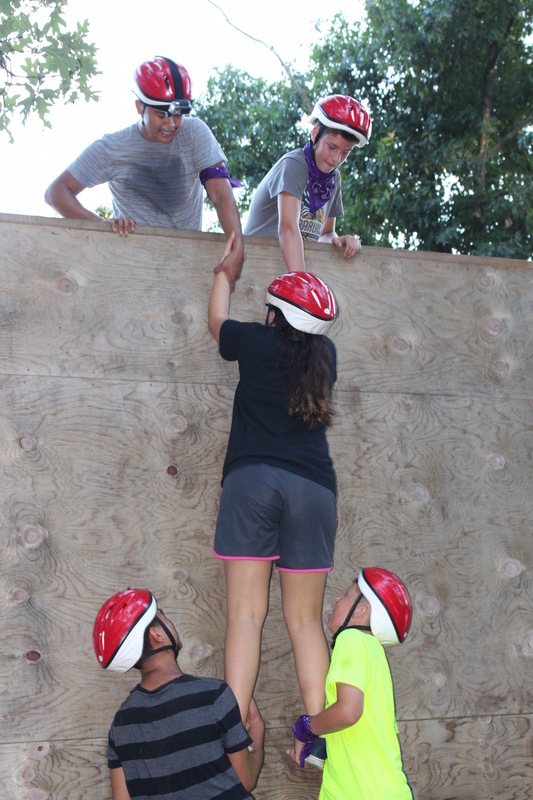 Last week the high school students took a three day retreat to Camp Fairwood to kick off the school year. Victoria Fabrie, senior and president of Student Council, and the Student Council Committee put together different activities and competitions for each class to compete in, such as a synchronized swimming contest, a skit, and many other fun and friendly competitions. “I really liked the obstacle course,” Fabrie said. “I’m really competitive, so that was my favorite activity to plan.” Each class had a team of 10 people that had to work together to complete the whole course. The first few steps had to be completed by the entire team before individuals could advance. 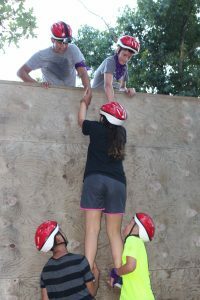 One of the hardest parts of the course was scaling a 12′ vertical wall – many team members pushed and pulled to make sure the whole team made it over. It was a great way to build teamwork within each of the classes. 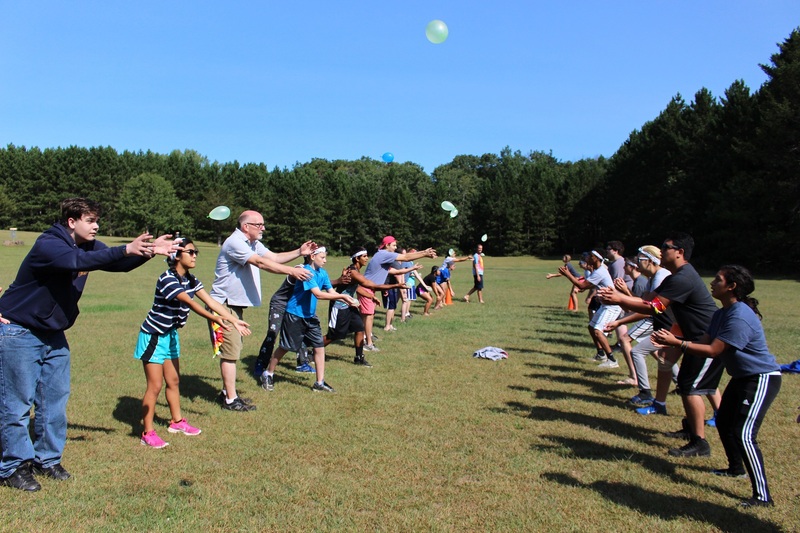 Among the other competitions were a balloon toss, Kuub, a Survivor Puzzle, and Infiltrate the Trenches. On the last day of retreat skits were also performed by each of the classes which were judged by faculty members. The seniors won with their horror story spin-off. There was also a synchronized swimming contest, which was really fun for the students to plan, as well hysterical for each of the classes to watch. Of course there was a valiant effort made by the Senior boys to prank the Senior girls. They put toilet paper and string all over the girls’ cabin so they wouldn’t be able to walk through, and they even put a baby mouse in the bathroom! Unfortunately, they were caught, but it still made for good laughs. The girls got back at them by putting the boys’ mattresses out on the dock in the middle of the swimming lake. 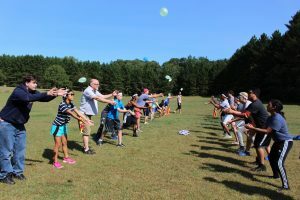 While the retreat was a time of fun, it was also intentionally set up so that students and teachers alike would grow closer together and closer to Jesus. The bonfire and small groups were a great way for all of the students to connect with each other on a deeper level. “There were some really amazing moments around the bonfire. 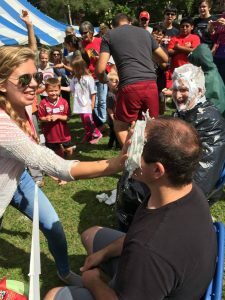 Some students just spoke from their heart and were really intentional with what they told others,” said Kurt Flemming, the Director of Discipleship at Westlake. “The small groups really showed a lot of us that we can be spiritual leaders, even if we don’t think we can,” Fabrie said. “Our small groups had some really great talks and there was a moment when we just stopped and prayed over (fellow Senior) Ethan and I think that moment really showed us that we can lead spiritually.” They realized that the skill of spiritual leadership and ownership is one of importance and is good to be learned now before the voices around them compete even louder for their attention. This year’s spiritual life theme is “Voices.” Daily we are bombarded by voices; some good, some bad. Advertisers, friends, culture, the Spirit, and others are all competing for our attention. 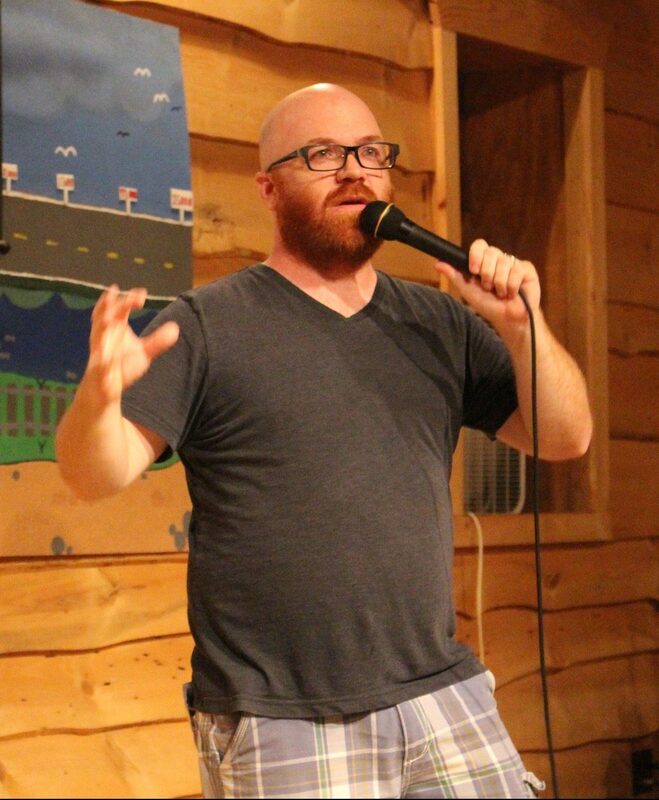 Alex Connell, youth pastor at Mundelein Church of the Nazarene, preached at the retreat on various voices: the voices of possibility, our voice, the voice of forgiveness, the voice of service, the voice of power, and the voice of change. The students enjoyed Alex’s fresh and funny perspective. Many of his sermons were focused on the disciple Peter and how “sometimes Jesus calls us to do the impossible.” One of the major takeaways was when we listen to the voice of Jesus and let all other things fade away, that is when we truly can do the impossible. Overall, students grew in ways they didn’t even imagine. 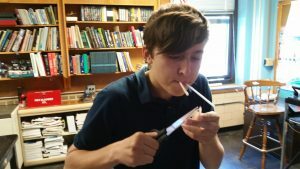 Allowing the students to disconnect from everything else at home made their experience more intentional. Thank you for the prayers of safety and growth for the students. If you would like to see photos and videos of the retreat, head over to Westlake’s Facebook page and check them out! Welcome to “The Eagle.” We are so glad you have decided to take the time to read our new high school blog! If you are new to this page, thank you for joining us! 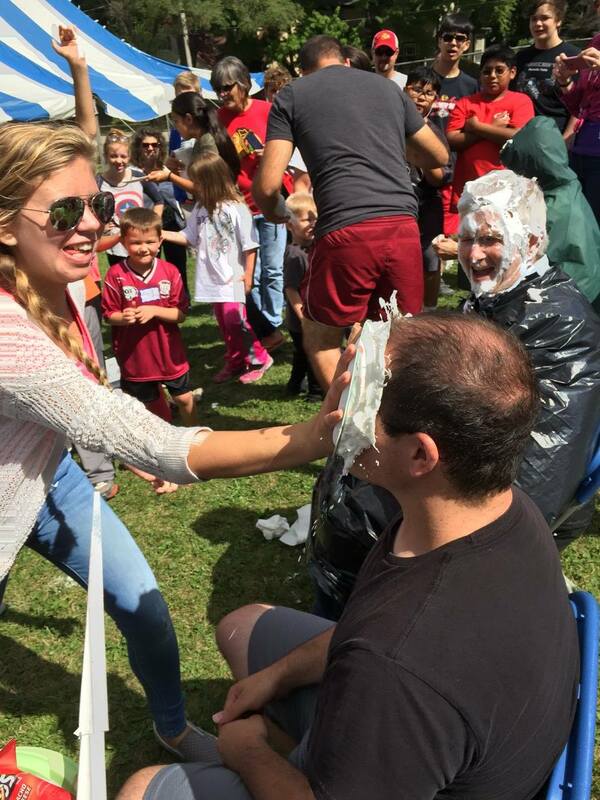 “The Eagle” is a blog designed to tell others about the events we have going on, as well as, the amazing high school students and staff we have here at Westlake Christian Academy. 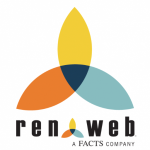 If you are a parent, student, teacher or just checking out our website, welcome! There will be many authors on this blog; from teachers to faculty, we strive, in every way possible, to help you gain an understanding of what it means to be a Westlake Eagle. We hope you enjoy the weekly updates provided on this blog and once again, welcome!